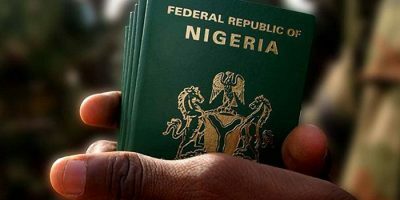 The Federal Government led by Muhammadu Buhari has approved the extension of validity of Nigeria?s international passport to 10 years from five years currently. Also with the approval, the Federal Government can now enter bilateral agreement with other countries for 10 years visa. Muhammed Babandede, Comptroller-General Nigeria Immigration Service (NIS), said on Thursday that this would mean less work for the service and that the people will have to pay more. ?President has approved a lot of reforms, one of the reforms is 10 years validity for the passport for adults from the age of 18 upward, this is great news for Nigerians in the diaspora, because they have been yearning for this, the national assembly has submitted it several times that the passport be 10 years like other parts of the world, the president has approved that,? Babandede said. ?I know that in the past month we had issues with shortage of the booklet, but that has been sorted out, the best solution is to produce the passport here in the country and we are doing the process, passport has to be produced in Nigeria, there will be a passport factory in Nigeria,? Babandede added. This development is coming at a time when Nigeria through the Nigeria Immigration Service (NIS) is paying over N24billion to firms in Malaysia, Netherlands and South Africa for production of its international passports. The passport booklets are currently being produced by Iris Smart Technology Nigeria (ISTL) through its parent company, Iris Corporation, based in Malaysia. BusinessDay investigations revealed that a company in Netherlands is responsible for the biometrics and security details inserted into the passports, while a South African based firm provides the ink used for the printings done in the passports. BusinessDay?s checks show that in a year, passport offices across Nigeria issue out 1.248 million passports. ?This is a good development especially for individuals who do not travel very often and therefore only renew their passports due to expiry of validity,? Taiwo Oyedele, head, Tax and Regulatory Services, PWC, said. A more impactful reform Oyedele added would be to simplify the process of application, issuance and renewal of passports. In particular, government should reduce the number of processes involved, limit human intervention which encourages extortion of applicants. Rather government should use technology for most of the procedures including application, payment, appointment for biometric data capture, complaint management and online tracking. As a matter of necessity, some of the activities can be outsourced to private organisations to promote efficiency similar to what obtains for visa applications for some countries, Oyedele added. Travellers and tourist are anticipating the new reform, as this will aid tourism in Nigeria, thereby impacting in the country?s direct investments. Ikechi Uko, the founder of AKWAABA Travel Tourism Market told BusinessDay that he renews his passport every other year and same with many travellers and tourists. ?Luckily for me, I have a 64page passport which last longer but it still has to be renewed. I have three passports that have visa on them that have finished. ?So, the longer the passport validity, the better for everyone. Without documents, you cannot travel. Passport booklets are not enough now and this alone is a limitation.? Nigeria is following in the footsteps of some other countries like the Philippines, whose President Duterte in August 2017 signed into law Republic Act No. 10928 which extended the validity of Philippine passports from five years to 10 years. Johnson Chukwu, managing director/CEO, Cowry Asset Management Limited told BusinessDay by phone that the development would mean more confidence as the slow process of getting a passport might reduce. Chukwu said this give the FG opportunity to enter into bilateral agreement with other countries for 10 years visa which would help improve bilateral business. Tayo Ojuri, an industry expert and Chief Executive Officer, Aglo Limited, an aviation support service said, ?After India, Nigeria has the largest number of people in diaspora and remittance is about $21 billion dollars that they send back annually. With the extension of the visa, they are able to invest more as Nigerians. ?Equally important, the president has approved that we must make sure that our passport booklet will hence forth contain the national ID number, the NIM number is important because it helps us with our national security, social security, crime,? said Babandede.